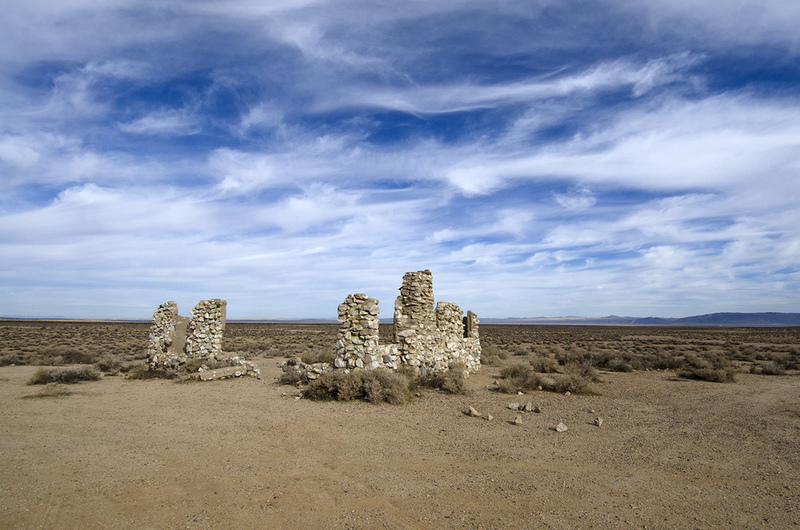 I was driving west on Route 58, out of Barstow, heading to I-395 and points north. My first stop of the day was going to be the abandoned Boron Air Force Station/Federal Prison Camp located a few miles north of Kramer Junction. 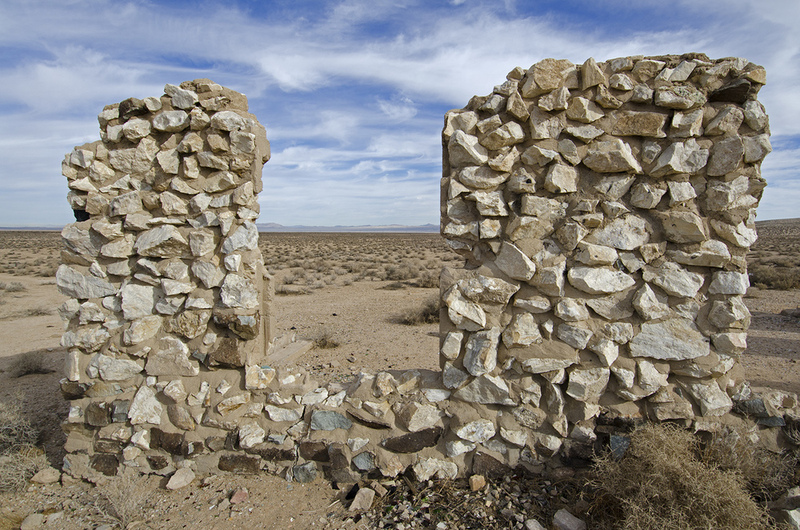 But as I'm speeding along, eating a cookie, I spot some old stone walls out in the middle of the desert. I passed by too quickly to be able to stop, so I continued up the road until I could turn around and go back to investigate. That's part of the fun of having some time off to take a roadtrip. You can stop and explore along the way. It's an interesting place, but I have no idea what it was, when it was built or by whom. There are dirt roads all through the area and it appears to be a great place for off-roading though. After taking a few photos and deploying a Munzee on the stop sign at the road, I continued on my way to see what else I could find.